Our previous April Fools Deck entitled ?Pro Cardistry? 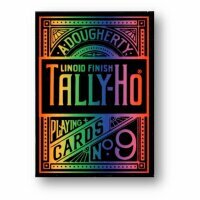 (April Fools / "PRO-CARDISTRY DECK") is the one custom deck of cards everyone still talks about since it?s release two years ago! We quickly sold out all of these decks soon after release. It featured an evil creature on the front, and when people opened them up, they discovered the entire deck was full of rainbows and unicorns. The deck even fanned rainbows and had rainbow farting unicorns and other things cleverly built into the deck. We were even offered up to $500.00 each for the uncut sheets! 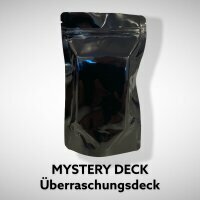 This year we made a completely new April Fools deck! No rainbows or unicorns, however there is a completely new and hilarious theme! Another evil creature on the box was created in 3D by amazing artist Matt Stewart. The funny and awesome artwork inside the deck was created by incredible artist Naiche Washburn. 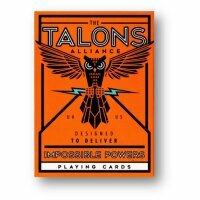 This deck has a twin tip four color no border design that makes amazing fans! It has completely custom court cards, and different artwork for each ace! 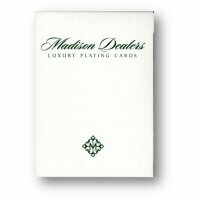 It also has several gaff cards for magicians. A creature from the deck finds the spectators card. We included two different reveals so the trick can be repeated. There is also a blank card and variations printed on the reverse of the reveal cards so that you can do many different versions of the trick. Printed on the finest stocks and finishes, this deck handles like a dream! Due to the fact that this is an April Fools joke deck we will not reveal the cards until 1 April. So if you want to purchase prior to 1 April, buy at your own risk! No refunds or exchanges! April Fools is around the corner, fun and surprises are inside this wonderful custom deck of playing cards. 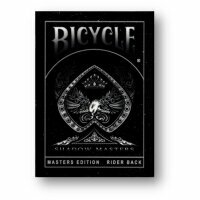 This deck is a limited edition ad a MUST for any card lover!